Water samples from the shores near the Fukushima prefecture have shown double the normal level of radioactive iodine. 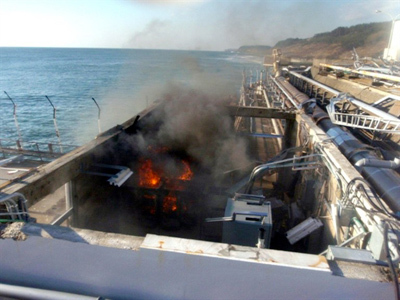 ­Japan’s science ministry says the highest levels of radiation have been detected in seawater off the coast of Fukushima Prefecture since the monitoring began about three weeks ago, NHK broadcaster reports. The ministry said the level of dangerous iodine-131 was 88.5 bequerels per liter in a sample of water taken about 30km east from the crippled Fukushima-1 power plant, which is 2.2 times the government’s upper limit for wastewater from nuclear facilities. 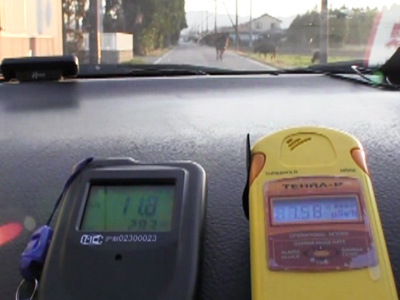 Samples taken 15km from the plant showed radiation levels 23 times the upper limit. The level of cesium-137 was also the highest observed so far, but was below the legal limit. Japan’s Nuclear and Safety Agency says radioactive substances seem to be flowing and diffusing northward. The nuclear power plant’s operator said the level of the contaminated water in the tunnel of reactor 2 dropped by 4 centimeters to 95 centimeters below the surface as of 7am on Wednesday. Currently, more than 250 tons of highly radioactive water has been removed from the tunnel into a turbine condenser. 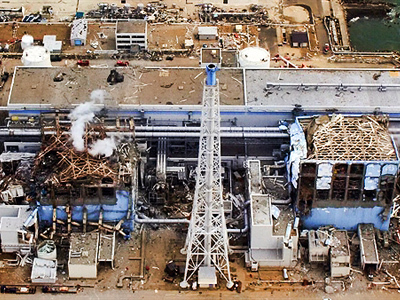 The decision to remove the water was based on new data showing more radiation had leaked from the damaged plant than was previously thought. Tokyo Electric Power Company promised to try to identify radioactive substances in the water in the pool, and their densities, to determine whether the reactor's fuel has been damaged. All these efforts are aimed at allowing workers to restore the reactor’s cooling system. Meanwhile, attempts to restore cooling systems at the other reactors appear to be no closer to success. Engineers at the plant have resumed their efforts to remove the built-up radioactive water. A series of aftershocks made it impossible to start work until 7.30pm. on Tuesday. 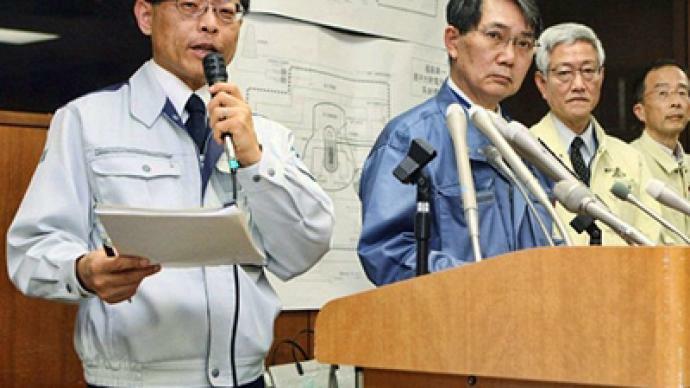 Representatives of the Tokyo Electric Power Company believe approximately 40 hours are needed in order to move the total of 700 tons of contaminated water from the tunnel. The contaminated water was the reason why on Tuesday Japan raised the nuclear alert around the power plant to the maximum level of seven. This put the crisis on a par with the Chernobyl disaster. However, officials deny the upgrade means the situation has become more critical. The water has turned out to be not the only matter of concern. Japan's science ministry claimed small amounts of radioactive strontium have been detected in soil and plants outside the 30-kilometer evacuation zone. Strontium-90 is a by-product of the fission of uranium and plutonium in nuclear reactors. It has a half-life of 29 years. 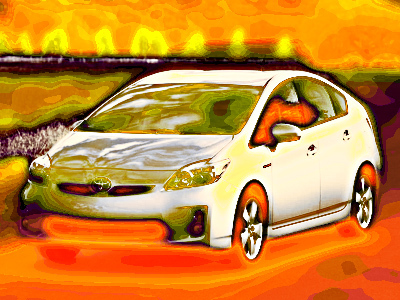 As a product of nuclear fallout, it is highly dangerous – it tends to accumulate in bones and can cause cancer. The level of radioactive substances in soil and weeds near the power plant has also been monitored by the ministry. What they found proves the radiation level in three different locations, each approximately 30km from the plant, is higher than was hoped. An extremely small amount of strontium was also found 40 to 80km from the plant. But the amount found is very low and will not have any negative impact. 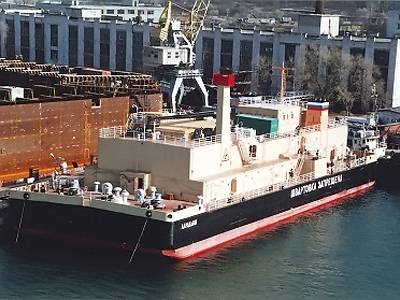 A nuclear engineering expert says the fact that strontium was detected proves that the fuel in the reactor or the spent fuel in the pool was damaged. Environment expert Christopher Busby believes it was criminally irresponsible to downplay the level of the disaster and not raise it to the maximum level from the very beginning. The fact that the levels of contamination have been downplayed is not only an element of psychological denial.